We’ve updated ONLYOFFICE integration app for Nextcloud to ver.2.1.2, with several new features released. Read this article to be aware of the enhancements, and learn how to restrict access to ONLYOFFICE online editors to user groups within your Nextcloud. Go to the Settings page, and select the ONLYOFFICE section on the left panel. Done! 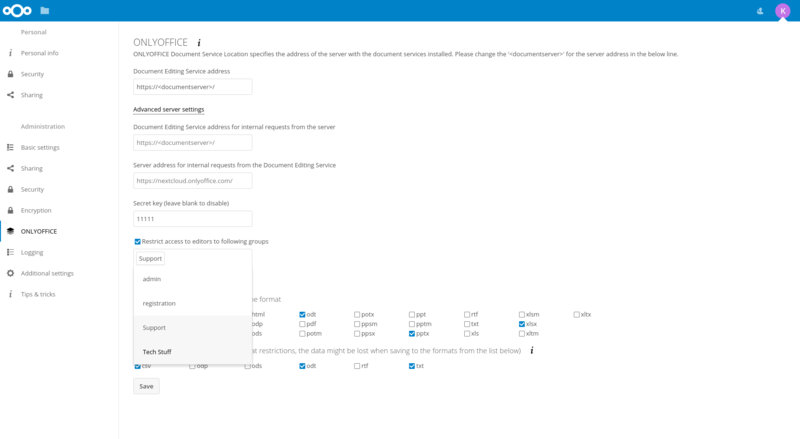 Now, only users from the selected groups are able to view and edit docs with ONLYOFFICE online editors within Nextcloud. Please note: when sharing a file by an external link, users who don’t belong to the selected groups would also have access to it. 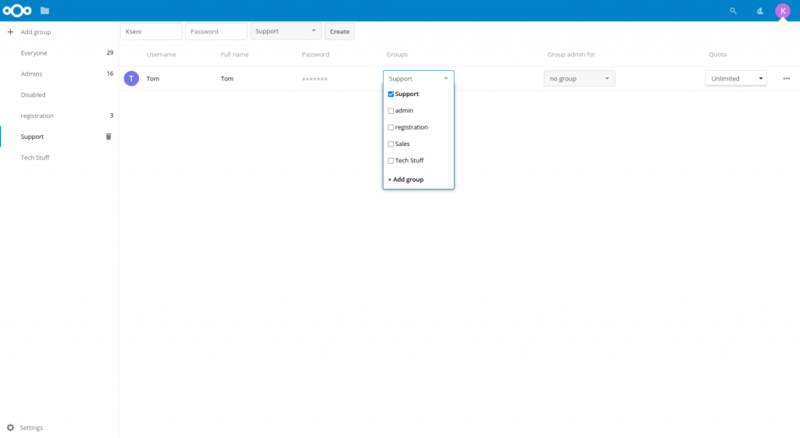 If you are new to Nextcloud, but would like to try ONLYOFFICE-Nextcloud integration, you can install already integrated solutions all at once using Univention virtual appliance, or Docker Compose. 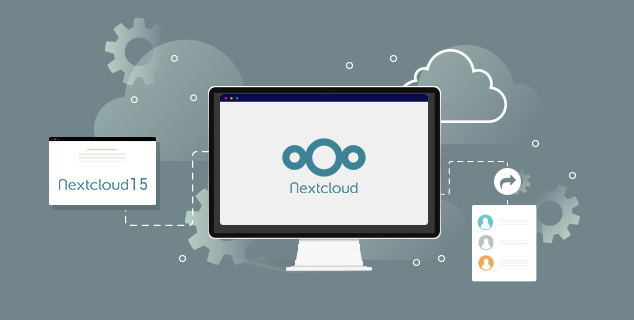 Read our detailed API documentation on ONLYOFFICE connector for Nextcloud here. In case you have any technical difficulties, please contact us at support.onlyoffice.com.